Many China observers were surprised to learn that in early January, 2015, the Supreme People’s Court (Court) issued an interpretation on enabling civil society organizations to sue polluters on behalf of the public, when most commentators take the view that those organizations are controlled more tightly than before. The Court issued it after years of work, analysis, and low numbers of environmental lawsuits (highlighted in my earlier blogpost), particularly public interest ones. An assessment of its implications. This blogpost should be read with Barbara Finamore’s blogpost, How China’s Top Court is Encouraging More Lawsuits Against Polluters. The interpretation, entitled “Interpretation on Several Issues Regarding the Application of Law in Public Interest Environmental Civil Litigation (Interpretation) (Chinese original found here and translated here). The Interpretation (like many other Court interpretations) combines court procedural rules with additional rules on liability and other legal standards to put in place a framework for Chinese environmental NGOs to file public interest environmental cases against polluters. It supplements Article 58 of the Environmental Protection Law (amended in 2014) and the 2012 Civil Procedure Law, because neither law had sufficient legal rules to guide local NGOs in bringing and local courts in accepting, hearing, and deciding these lawsuits. A draft of the Interpretation had been issued for public comment on 1 October and the final draft reflects comments from the public. Both domestic and international organizations commented on the draft. The Interpretation authorizes environmental NGOs with a five year track record that are legally registered with the local NGO regulator, the Ministry of Civil Affairs or its local counterpart, to sue polluters on behalf of the public, and to seek the equivalent of a permanent injunction, compensation, orders to clean up the pollution, or an apology, among other measures. 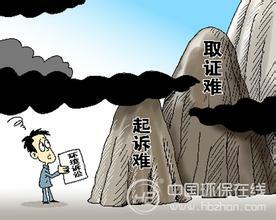 A Ministry of Civil Affairs official recently estimated that about 700 environmental groups met current qualifications. Provisions permitting an NGO to seek a court within a provincial boundary but outside the locality of the polluter to hear the case. Because local courts are locally funded, they are often reluctant to hear or decide cases that cause result in judgments against companies that are often substantial contributors to local tax bases. An NGO is also allowed to sue polluters outside of its own locality. This was also highlighted in the same press conference. The Interpretation enables injured private parties to piggyback on the NGO’s case, also highlighted by the Court spokesman. Several provisions to require court oversight when NGO settles the lawsuit, to guard against intimidation by the polluter, which may be allied with local government. The damages the polluter pays are paid into a pool of money, which is used to compensate those harmed. If the defendant polluter refuses to provide information about pollution discharge, the court can presume that the plaintiff’s assertions have been established. Several provisions are designed to reduce the costs of litigation to the NGO. The litigation must not be profit making for the NGO. The Court spokesman described these cases as “a new type”, difficult to try and enforce, and ones that attract a great deal of public attention, but given the high degree of public concern, in January, 2015, China’s People’s Court Daily identified the Court’s environmental legal policies, as being the SPC’s top judicial policy initiative in 2014. The Interpretation reflects years of work within China by local legal experts, local environmental NGOs, as well as the technical support of international organizations such as the United Nations Development Program, the Asian Development Bank, and other China-based foreign NGOs, and universities. The structure established by the Interpretation reflects concepts adapted from US law and other foreign legal systems, but reflects Chinese legal, political and societal realities. The Court worked with the Ministry of Civil Affairs (MCA), which regulates NGOs, and the Ministry of Environmental Protection (MEP) in establishing a policy framework for implementation, which set out in the document issued with the Interpretation, the Notice of the Supreme People’s Court, Ministry of Civil Affairs, and Ministry of Environmental Protection on Implementing the System of Environmental Public-interest Civil Litigation (Chinese original here). The Third and Fourth Plenum decisions both highlighted establishing compensation systems for those responsible for creating ecological or environmental damage, and the Court’s policy document on environmental issues, issued in June, 2014, signaled the importance to the government of public interest environmental litigation. About 170 courts have now established environmental divisions, but according to Court studies, most have heard relatively few cases. Public interest environmental litigation was piloted in provinces as diverse as economically developed Jiangsu Province and the less developed southwestern provinces of Yunnan and Guizhou. These cases have been analyzed both in Chinese and English.The pilot projects highlighted some of the underlying issues, which include local protectionism, lack of specific provisions on these cases, lack of training, and lack of coordination between the environmental protection authorities and the courts. An additional issue is also the performance indicators (now being reformed) of the courts, which incentivizes judges to avoid taking risks. From 2000 to 2013, only about 50 environmental public interest lawsuits were heard in China, most of which were filed by government agencies, according to a report by the state-sponsored All-China Environmental Federation. NGOs have attempted to file environmental public interest cases for many years, but have generally been refused by the courts. For example, although the All-China Environmental Federation filed eight lawsuits in 2013, but none were accepted. A case decided at the end of 2014 involving by a semi-official NGO in Jiangsu Province, where the Taizhou City Environmental Protection Association (the chairman, Tian Jun, is also the head of Taizhou’s environmental protection bureau) against six chemical companies that had polluted local rivers resulting in a 16 milllion RMB compensation against the polluters. A case filed in December, 2014 in a county court in Chongqing by Chongqing Green Volunteers Association against a Hubei mining company. [public interest litigation] compensate my losses! The Chinese government recognizes that the degradation of the environment in China, along with the harm suffered by hundreds of millions of people from air, water, and soil pollution is a social and political problem, and the system, without involving NGOs, was unable to address the problem, and that it is preferable to resolve environmental problems by bringing environmental disputes into the courtroom, rather than having demonstrations against polluters. The predictions in the Chinese legal press are that the Interpretation will eventually lead to more litigation, despite local protectionism and the technical demands on NGOs preparing to bring these lawsuits. 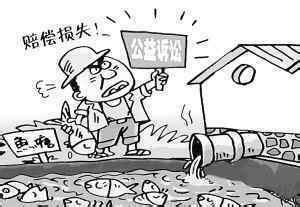 On January 13, 2015 the All-China Environmental Federation filed two lawsuits in Shandong’s Dongying Intermediate People’s Court against polluters in Zhejiang and Shandong provinces, which were accepted. Based on my own contacts, other environmental NGOs are reviewing their activities to consider whether they have an appropriate case. This entry was posted in Court Reform, Environmental law and tagged environmental NGOs, Supreme People's Court. Funding sources include domestic foundations (such as Alibaba), foreign foundations, international organizations (for projects), foreign and domestic businesses, as well as individual donors. The Beijing NGOs have better access to foreign funding, and if larger NGOs do projects outside of Beijing, they are likely to channel funding to local NGOs. China’s Judiciary is fighting pollution in earnest by the rule of law.